177 Responses to Medicare Enrollment Application – Who Has to Apply? and part d and how much since I wish to work would the part b and d cost me and how do I pay for this? Since I do not want to file for soical secuity till I am a full age to take it at age 66 , Also I have no insurance will pre/x apply when I enroll. Many of you may have had problems with your Part D Drug plans..remember, prior to 2006 there was not drug coverage for people on medicare. But be selective in choosing your plan. I was a CA state worker that retired at age 58 due to illness. My HMO is Kaiser Permanente. I am now 61. Late last year (Nov 2010)., I was approved for Social Security Disabilty due to that illness. Am I supposed to change my HMO to a Medicare sponsored Kaiser Plan or what? I have no idea who to call to find out. Thanks for any info! My dad is 42yrs old a legal us resident he is in early stage Renal Failure and has kidney stones which interfere with his ability to work needs surgery but cant afford it. Is there some try of benefit he can apply to to help him out, maybe medicare. i have applied for medicare. How long is it gonna take to be delivered? Hello! We need to know where to submit our provider application for a chiropractor who is licensed and practicing in Oregon. I went to the CMS website and the address is in Indianapolis so I sent the 29 page document there and got back a letter saying I sent it to the WRONG place but they kept the 29 page document! ARG! Now we have to complete it AGAIN.. HELP! Where do I send it?!?!? My mother is 63 years old. Can she qualify to get medicare early because she fell and broke a bone of her shoulder. She had to go through prosthetic surgery. My mother’s arm will never be the same. She won’t be able to clean the house, lift objects she will barely be able to comb her hair and that’s if she goes through the therapy. I AM 67 YEARS OLD WITH NO MEDICARE PART B. DO I NEED PART B EVEN THOUGH I AM STILL WORKING. I am disabled with ssdi, medicare. My Autistic/MR son qualified for lifetime medicare under “survivorship” – his medicare number is my social security number plus a “c1”. He is 25 years old, and also qualified for medicaid here in CT. He goes to a couple of doctors under medicaid, the rest under medicare only. WE’ve now run into two doctors who accept medicare patients who tell us because my son has medicaid they CANNOT accept him, even if he has medicare and we bring him in as a medicare only patient, paying out of pocket for the balance. CAN THEY REJECT A MEDICARE PATIENT BECAUSE HE ALSO HAS MEDICAID? I am older than my husband.He has eleven years before retirement.I should have had Medicare four years ago but was on my husbands insurance.I was a homemaker and did not pay into social security.He lost his job a year ago.Our Cobra will be out in a month HELP! No one will insure me because of my age and we cannot afford Medicare through the government.We don’t qualify for Medicare, looked into that. I’m 62 yrs. old and start my social security benefit,but I would like to know If I’m eligible to apply for medicaid or medicare.I have highblood and I need to see a doctor .I have no other income and my SS benefit start October 2011. Hi, I am very worried and want to know if i would be eligible for pregnancy medicaid. I have been in the U.S for 17 years but i just became a permanent resident in June 2011. My husband is a U.S Citizen. Is there a possibility i may be eligible? Or what should i do? my father in law has copd and hep c and is under 65yrs, does he qualify for medicaid? I will be 65 in March and on ss disability. Do I qualify for Medicare. If so what is the application process?? Is their an application window for Medicaid or can a person apply immediately upon losing insurance pursuant to a divorce. my mother-in-law is now 79 years old at the age of 70 she retired from teaching at LAUSD. she worked for 35+ years. when she reired we know she had hmo coverage and medicare. she recently had a slip in fall accident injuring her her hand which required surgery. she somehow lost all her medical coverage and is now uninsured. what do we do to get her medicare coverage back? My boyfriend is 55 years old with Diabetes. He works full time but has no health insurance. Is he eligible for Medicare? He is ineligible for medicaid. Thank you for your help. i turned 65 in dec. 2010. at the time i was working and had coverage for hospital ,office visits ,and medicine. i get part a now. i did not select part b because i had coverage at work. i am now out of work and need part b. how do i apply to have part b . i do receive social security now so i know the premiun would be taken out of my check. how can i get enrolled before enrollment ends in dec.? My wife has a birth defect and she can’t get insurance. Can see go on Medicare at 64? hi i’m 44 years old with a bad heart condition,seizers,sever migrains,back pains,dizziness and also blackout at times and also have high colesterol and been going to the doctor and scraping up money to pay for all my bills i know i owe my family over thousands of dollars i can’t get help from the medicare/medicaid dept in n.c because they feel i am able to do the maybe they need to live with me to see how it feels.WHAT MUST I DO TO GET HELP!!!!!!!!!!! I need to have surgery on my back which there is a chipped bone sitting on the nerve right on the disc of my spine which stays inflammed all the time. This is making me lose my balance always losing the feeling in both legs and hands. Can not afford to pay have no income, I am 44 years of age and have no insurance, how can I get medicare to help me cover for a much needed surgery. Please help with some information on what to do. I’m 78 and still work full time. Will I be penelized when I retired for not joining Medicare when I turned 65? I and my wife became naturalizd US citizens in 1982. I am still working as a civilian in US Air Force. My mother-in law had a green card ten years ago but she returned to India and then she visited back USA on visitor visa five years ago. Now , if we get my mother in law a green card will she be eligible for Medicare Part A, Part B and Part D? I am 65 and still working full time with insurance benefits. 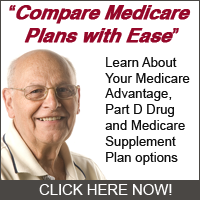 When do I need to apply for Medicare Insurance.